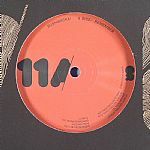 Review: Originally featured on their celebratory XV compilation back in 2017, Berlin clubbing institution Watergate have reissued one of the the standout tracks here by Hamburger Matthias Meyer and Berlin's Sebastian Waack aka Ryan Davis. 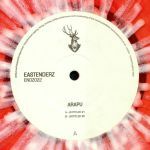 The track "Hope" in its original form was a lush and hypnotic drifter, geared for some life-affirming moments on the dancefloor. 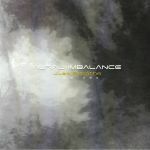 The rework featured here by the legendary John Digweed takes the track into much more adrenalised and entrancing territory, with its trance arpeggios and tight rhythm arrangement making for great dancefloor dynamics - but the breathtaking orchestral arrangements of the original are left intact. New track "Love Letters From Sicily" could equally have had a home on All Day I Dream - its ethereal daydream qualities make it perfect for a Sunday afternoon rooftop party downtown. 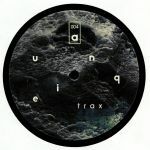 Review: For a small label with minute sounds, An dromeda is a heavyweight when it comes to releasing the finest in experimental, sparse and dub-laden, extra-ordinary minimal techno. 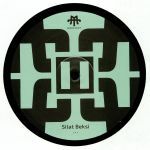 Vid inaugurated the label in 2012 and now provides the outlet with its first album via a triple 12". Should you find the early releases of Giegling appealing, its likely Vid's debut LP will be of interest too through its poppy beats, watery undertones, balanced percussion and dynamic piano manoeuvres. Productions plunge deep without the need of booming kick drums as demonstrated in "Pasul Unu", or the looped chords of "Tripusor", while rustic tribalisms form in "Landrum Bun". An intriguing album transforming how we perceive the micro-isms of danceable electronic music. Review: Longtime enigma Matthias Wagner is a bit of a maverick when it comes to the dance music scene. Not only is this his first EP under his birth name, but the quirky German has released music under a whole other slew of aliases. This EP marks the first catalogue number for the Jooice label, and "Cookie Monster" does a great job at launching the first drum machine attack of the series, a loopy, leftfield tech-house number that sounds like it was made by aliens. The flip kicks off with "Mango Maracuja", a deeper, more broken neat sort of ticket, while "Farbig" provides a bleepy, skeletal tune that has more in common with electronic music's experimenters than the dance junkies.